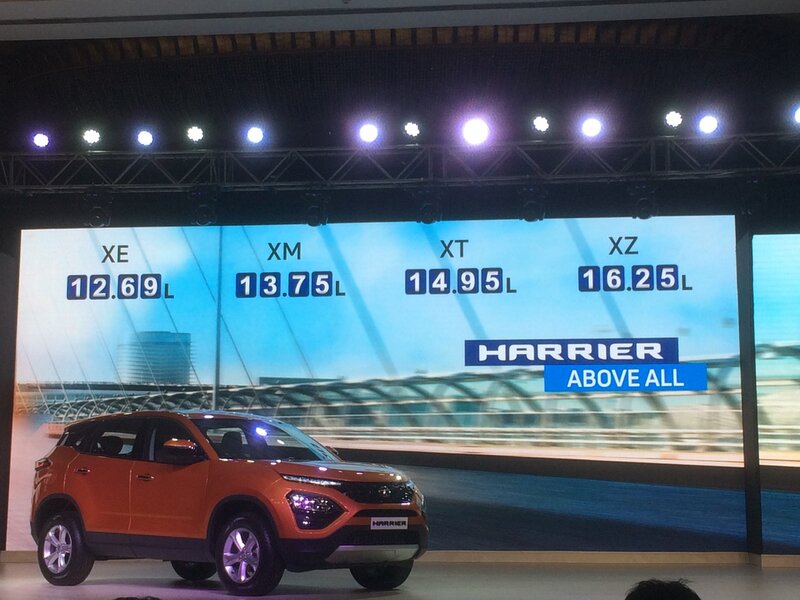 One of the most anticipated offerings of the year, the Tata Harrier SUV has been launched in India with prices starting at Rs. 12.69 lakh (ex-showroom). The new Harrier is the most promising model from the manufacturer yet and is set to take on some very established rivals including the Hyundai Creta, Jeep Compass, Mahindra XUV500, Renault Captur and the newly launched Nissan Kicks. The Harrier is based on an all-new OMEGARC modular platform and will also get the new 2.0-litre diesel engine under the hood, borrowed from FCA. The Tata Harrier's oil burner is tuned for 140 bhp and 350 Nm of peak torque, while paired with a 6-speed manual transmission. There won't be an automatic available at the time of launch, but you will get the same later in the timeline along with a 7-seater version as well. The Harrier will be available in the 5-seater version when it goes on sale. 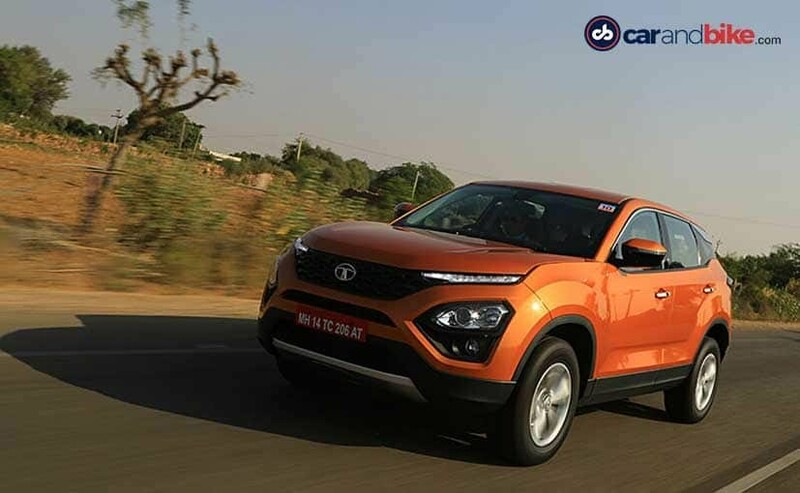 In terms of features, the new Tata Harrier comes loaded with a semi-digital instrument console, floating touchscreen infotainment system with Apple CarPlay and Android Auto, multiple driving modes and a terrain response system as well. The all-black cabin further gets premium wood inserts, and an aircraft inspired handbrake as well. Check out everything you need to know about the new Tata Harrier HERE. Tata Motors has invited the first customers of the Tata Harrier to the launch event and is handing over the keys to the SUV. 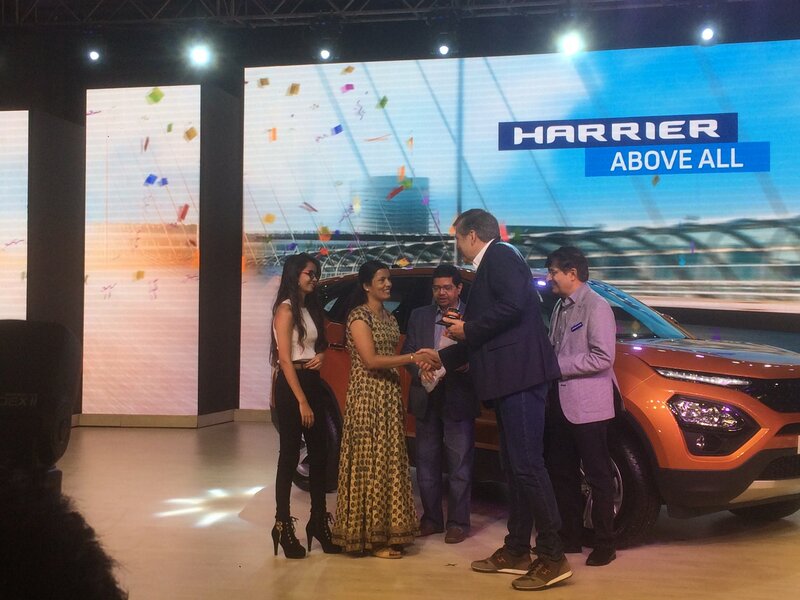 Tata Motors - MD and CEO, Gunter Butschek with President, Mayank Pareek handing over the keys. 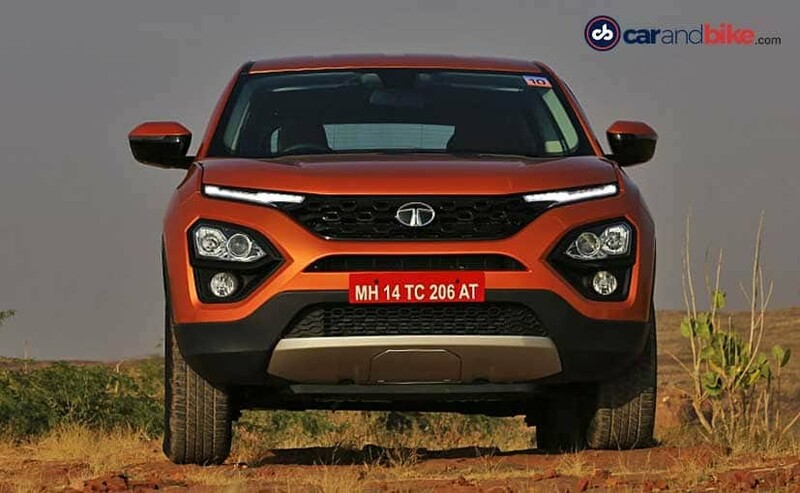 Prices on the 2019 Tata Harrier SUV start at Rs. 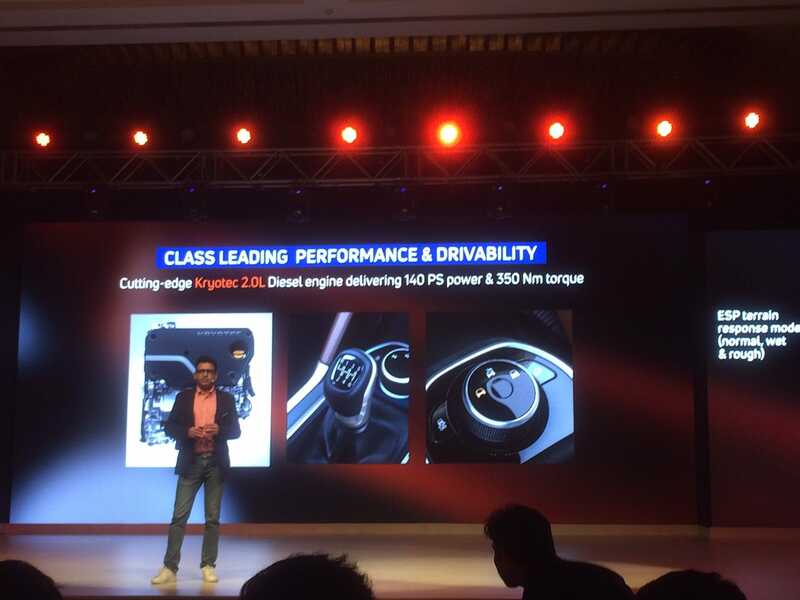 12.69 lakh for the XE trim, going g up to Rs. 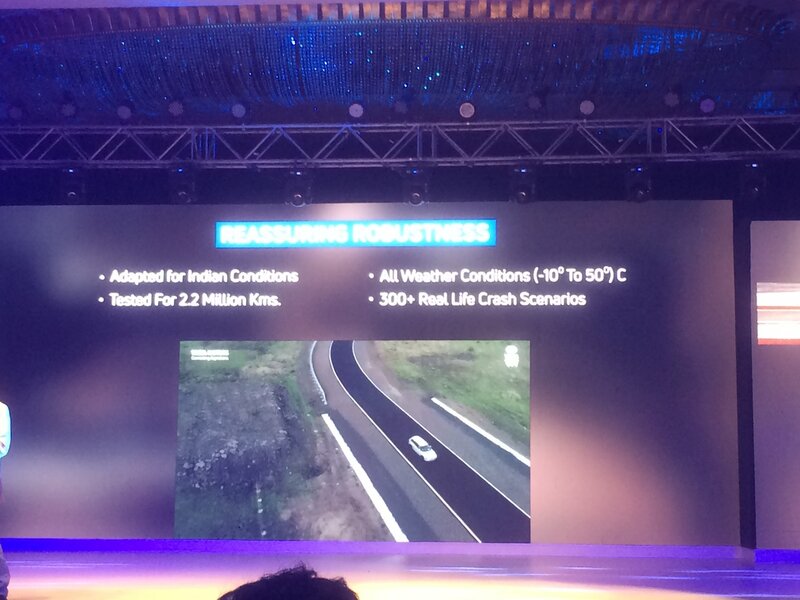 16.25 lakh for the range-topping XZ variant. The Harrier is available in four variants. 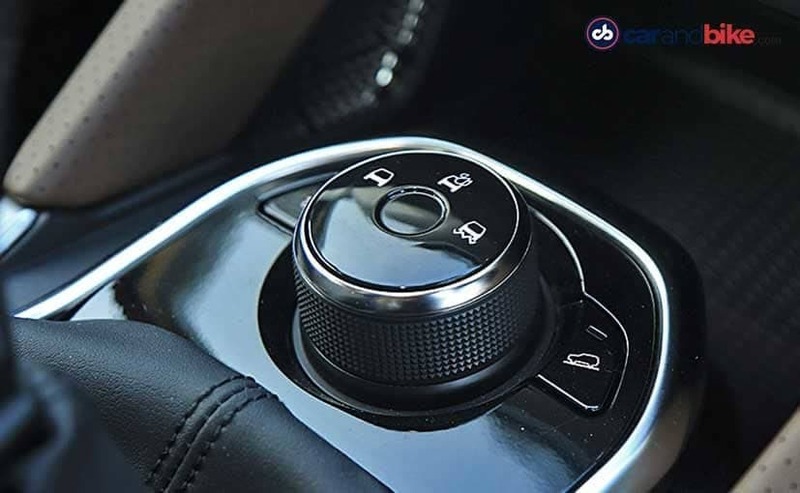 The new Tata Harrier is equipped with push button start-stop, a semi-digital instrument console, a multi-function steering wheel, height adjustable driver's seat, auto climate control and a cooled glovebox. There's a massive 8.8-inch touchscreen infotainment system equipped with Apple CarPlay and Android Auto with navigation, MirrorLink and more. The SUV also gets 9-speaker JBL audio system on the top trims. The Tata Harrier gets a 2.0-litre diesel engine tuned for 138 bhp and 350 Nm of peak torque. Only manual transmission on offer for now with a 6-speed unit while it also gets a Terrain Response System. There are three driving modes on offer including City, Sport and Eco. Tata Motors says the new Harrier has been tested for 2.2 million kilometres across varying terrains and weather conditions. The car underwent over 300 real life crash scenarios. The Tata Harrier is based on a derivative of the Land Rover D8 platform. The SUV gets a newly developed suspension developed collectively by Tata, Jaguar Land Rover and Lotus Engineering of the UK. 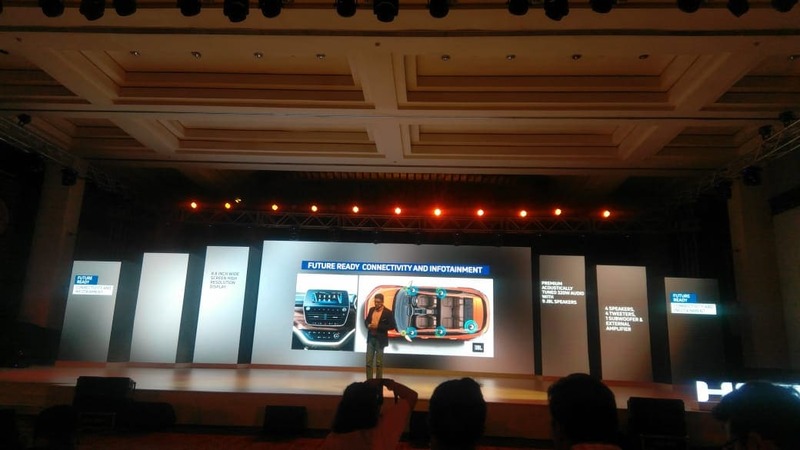 The SUV also gets several components from companies based globally including Honeywell and JBL from the US; Magneti Marelli from Italy and PT Excel from Indonesia, amongst several others. 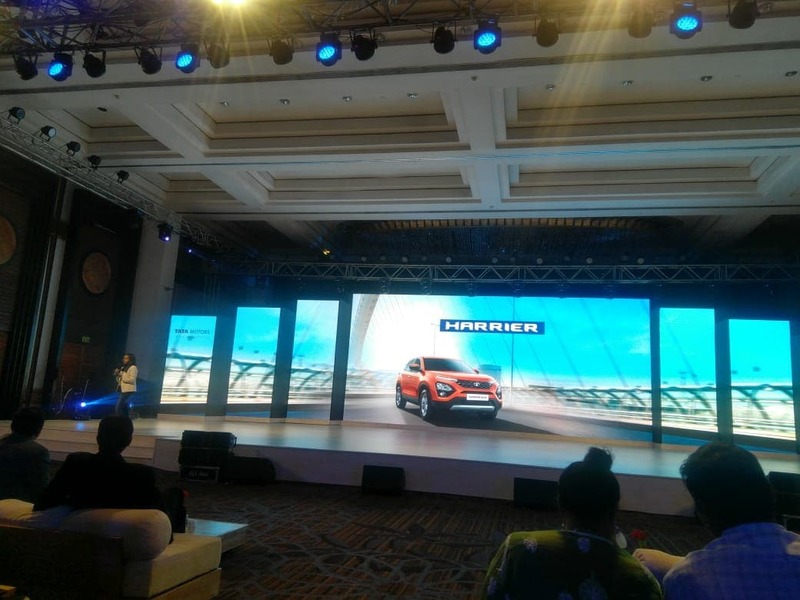 The 2019 Tata Harrier launch has finally begun. Prices are the only thing we don't know about the all-new SUV. 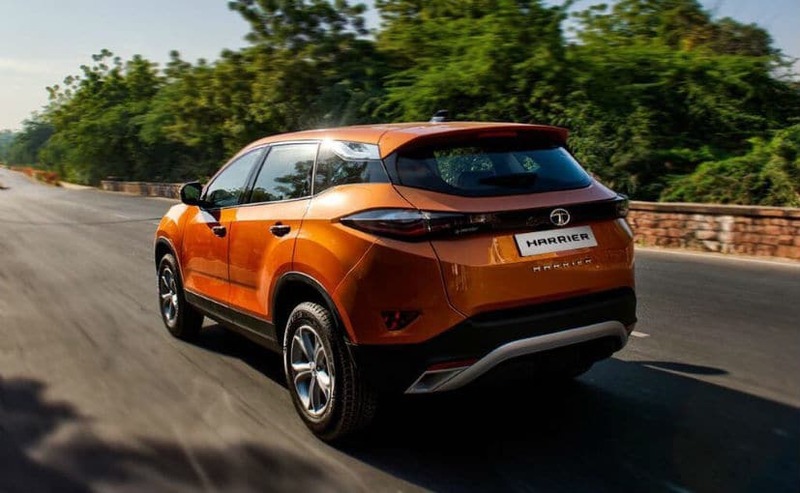 The Tata Harrier SUV comes with driver assistant functions like - Terrain Response Modes (Norman, Rough, Wet), hill hold and descent assist, rollover mitigation, corner stability control, electronic stability programme, and electronic traction control. It's almost time for the Tata Harrier launch. 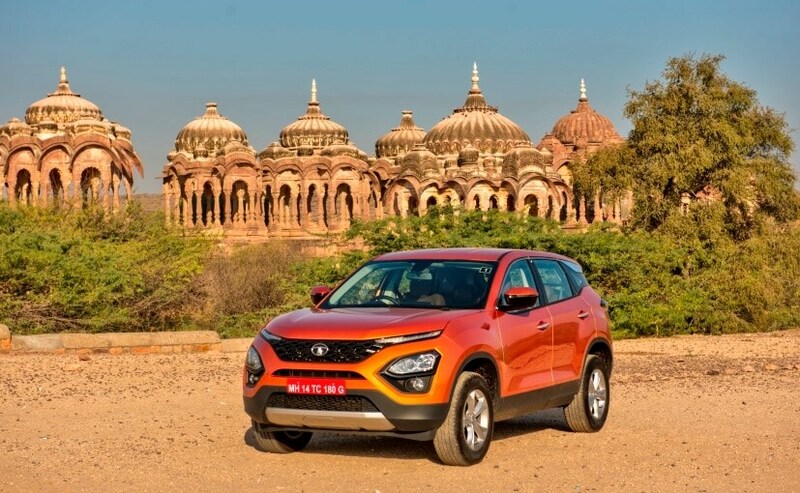 The new Tata Harrier uses a 2-litre 4-cylinder turbocharged diesel motor, that Tata motors calls Kryotec and is essentially the detuned version of what is available in the Jeep Compass. The engine makes 138 bhp of peak power and 350 Nm of peak torque. The engine is mated to a 6-speed manual gearbox and there is no automatic transmission on offer for now. At the rear, the Tata Harrier gets a set of thin tail lamps with LED treatment that are joined by a gloss black panel. Just like the front bumper, you also have a silver skid plate at the rear. And just to round it all off, Tata has chosen to display the name Harrier with a spread out in the centre. The headlamps themselves are set lower in the bumper and get projector lens right from the base variants with a separate foglamp cluster. The silver skid plate rounds of the look up front. One of the more distinctive elements on the Tata Harrier is its design. The automaker has retained most of the H5X concept that was showcased at the 2018 Auto Expo, albeit for the obvious production spec changes. The highlight on the Tata Harrier comes from the split headlamp cluster with high mounted daytime running lights that also double up as the indicators. 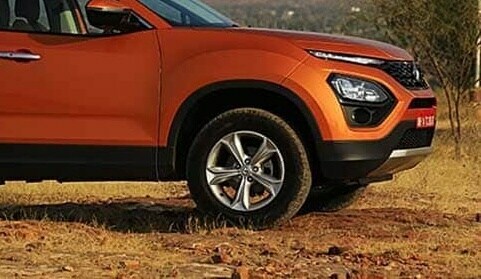 The large Tata-esque hexagonal grille also adds to the bold look of the SUV. Tata calls the new design language ImpactDesign 2.0. 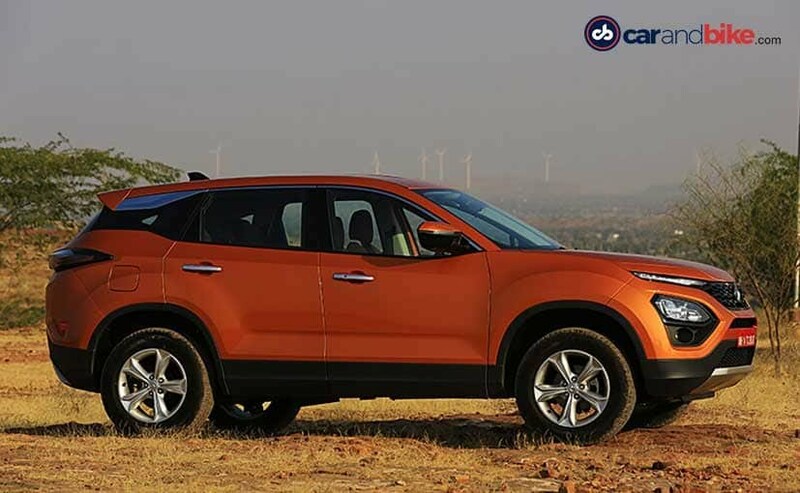 The Harrier comes with 235 section tyres available with 17 inch 5-spoke alloy wheels on the top trims, while the base version gets 16-inch steel wheels. The Tata Harrier measures in at 4598 mm in length, 1894 mm in width and 1706 mm in height. The wheelbase measures 2741 mm while the ground clearance on the SUV is 205 mm. 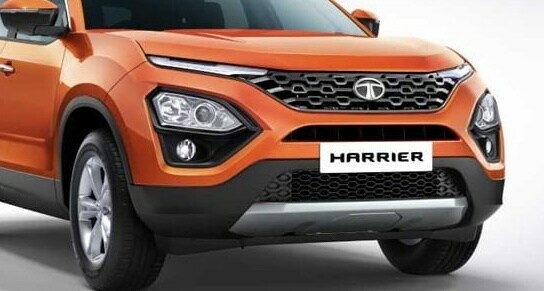 Hello and welcome to the launch of the 2019 Tata Harrier SUV launch scheduled today. The Harrier is the new flagship offering from the automaker and its most ambitious yet. 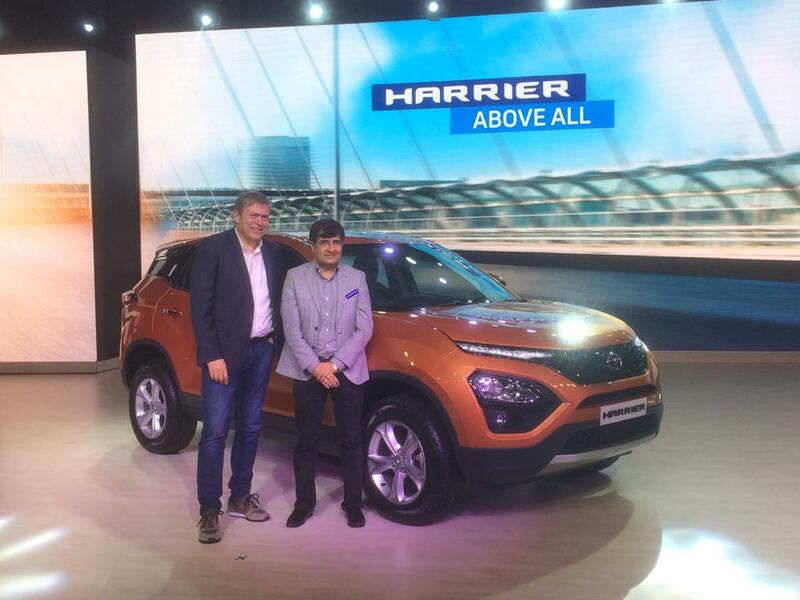 The Harrier also debuts an all-new modular platform from Tata Motors - OMEGARC, and will be sold in the highly competitive compact SUV segment. 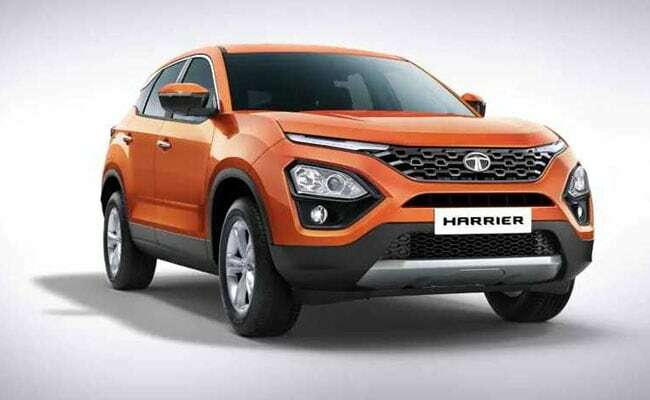 While a host of the details on the SUV have been revealed, Tata will announce prices for the Harrier later today. 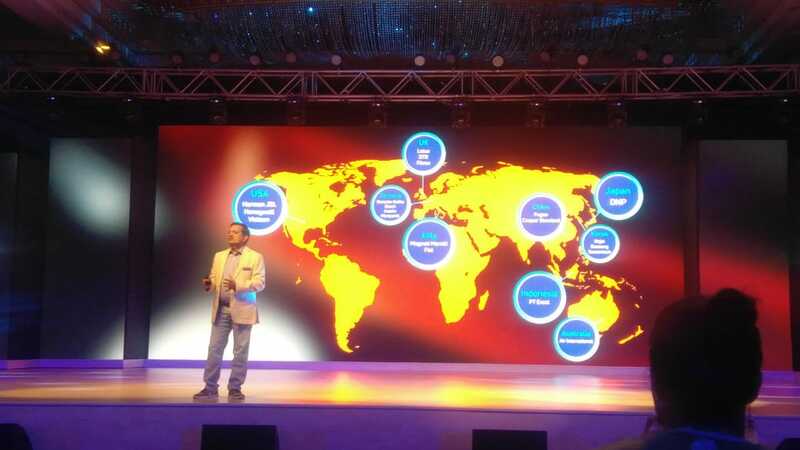 Keep watching this space for all the updates LIVE from the launch event here.